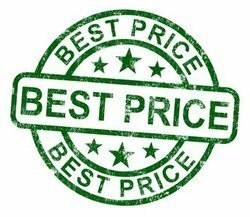 Are There Such Things As Cheap Dental Implants? According to some, cheap dental implants are not possible. They are a figment of the imagination. This is particularly true for dental implant dentures. Where implants meet dentures, the costs go soaring. In general, however, the cost of dental implants is seen as often being prohibitive. Essentially, the rationale for this lies in the technique as well as the requirement for surgery. The discovery by Swedish Professor Per-Invar Brånemark (1952) that titanium melds to bone marked the beginning. Since then, researchers and dentists have sought to improve the quality and affordability of the process. Like whitening, a dental implant procedure has increased in availability over the decades since this discovery. It is highly unlikely that dental implant procedures will ever become an over-the-counter (OTC) procedure. Unlike the whitening of teeth, dental implants require surgical intervention to replace lost, missing or diseased teeth. Dental implants have become, however, more accessible. This is particularly true when dental implant dentures are considered. The development of various “mini” appliances has succeeded in reducing overall costs. Yet, even the cost of these applications differs. The matter of cost pales in many eyes, however, when it comes to considering the full value of dental implants. While figures vary, the cost for a basic dental implant may range from $1,250 to $3,000. Under certain medical or oral circumstances, the cost may rise to as high as $30,000. In this way, dental implants become the best method for replacing lost or missing teeth. Above all, do not trust your insurance to cover or reduce the cost. This is cosmetic dental surgery. As such, most dental plans do not pay for it. While cheap dental implants remain elusive for now, affordable dental implants are possible. Improved technology is helping to reduce surgical costs as well as time. Dental implants will never become an at-home procedure. However, like the whitening of teeth, the process is becoming within reach of more individuals.